We offer to our clients a wide range in our bulk bags section. They are used in bulk packaging of products. Our product range includes: Full open top / flat bottom bags: Open at the Top and the Base of the bag is Flat. Generally used where manual filling is required, i.e. No hopper feeding. 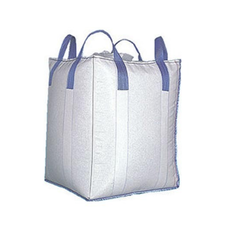 These Jumbo Bags are used in bulk packaging of different products. Our Jumbo Bags are available as full open top / flat bottom bags where the bag is Open at the Top and the Base is flat. These Jumbo Bags are generally used where the manual filling is required, i.e. No hopper feeding. These superior quality Jumbo Bags are very popular in the market. Our Jumbo Bags are very comfortable to use and spacious, and an economic way of packing powdered or granular bulk material. Hence, these are widely used in packaging industry and Food & Beverage industries. Construction: These Bags can be constructed by making use of the following techniques.